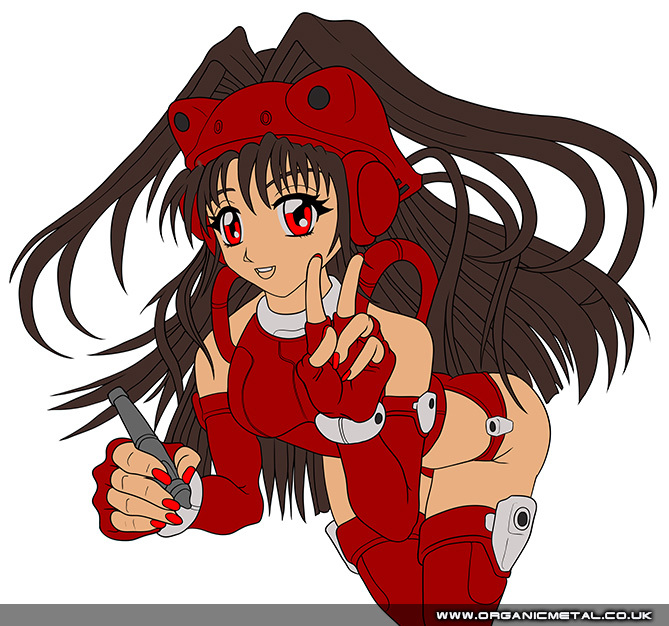 This has been a W.I.P for months and no doubt will continue to be for a few months more >_< Can’t wait to get through my to do list and finish these drawings. 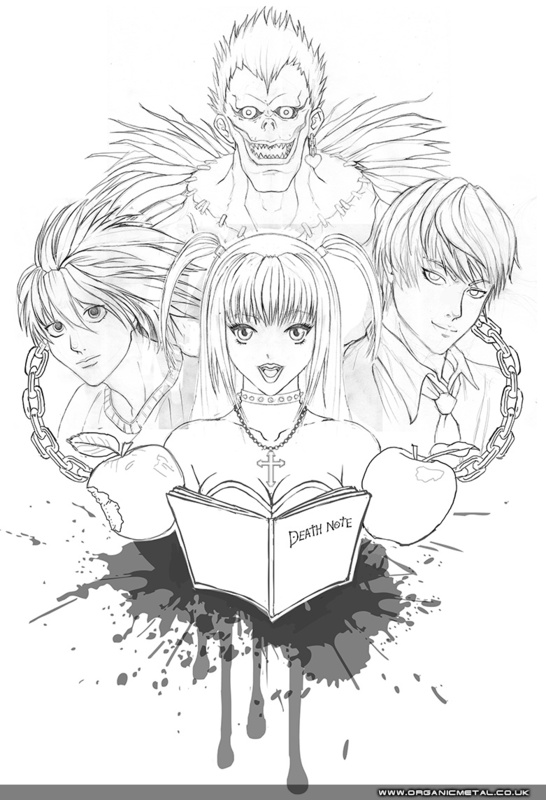 Death Note fan art Work in Progress. Still need to ink and then colour. Might tweak a few bits also. 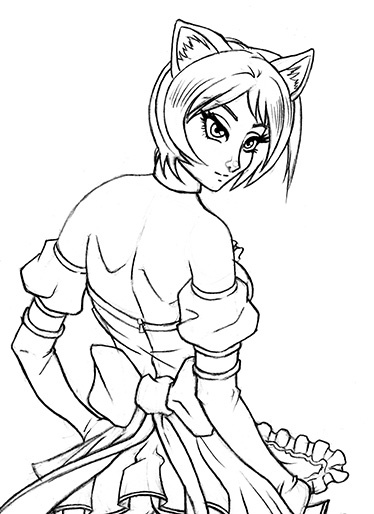 Cat Girl Work In Progress. Might be a while before I finish this one. In May I was working at the Wacom stand at the MCM comic expo in London. I created Cintiq girl especially for the event and spent most of my time there demonstrating the new Cintiq 13HD graphics tablet screen combo, which was pretty cool! 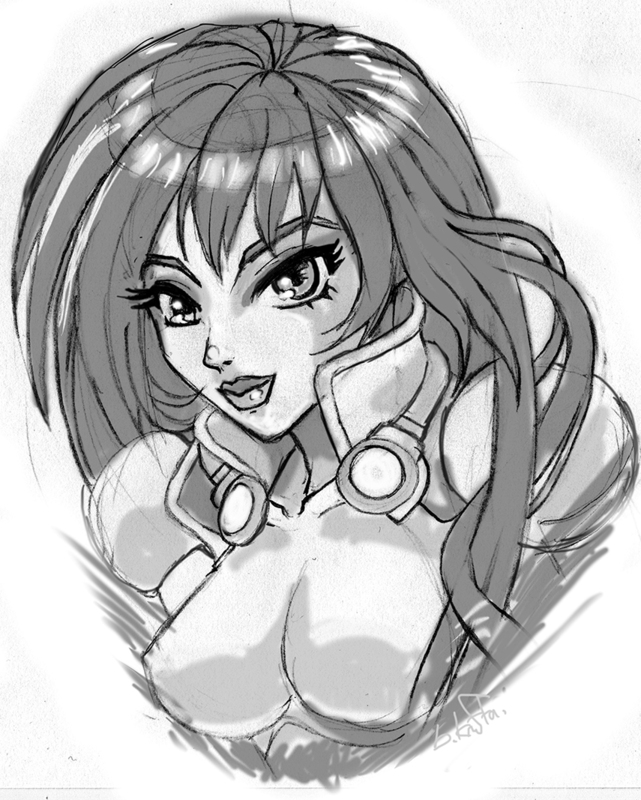 On the Friday I tried out Manga Studio 4 to digital ink her getting inspiration from Kiss Anime. It seemed like an ok program, but not sure I’d use it again and I couldn’t figure out if there’s a way to create anti-aliased lines? I then spent the weekend working on the colours in Photoshop CS6 in between chatting to customers, but still needed a day to finish after I got back. Also wanted to see how my new laptop handles large Photoshop files. This one is about 1.5GB! (this image is 6% actual size) and it seemed fine for everything other than smudge tool.